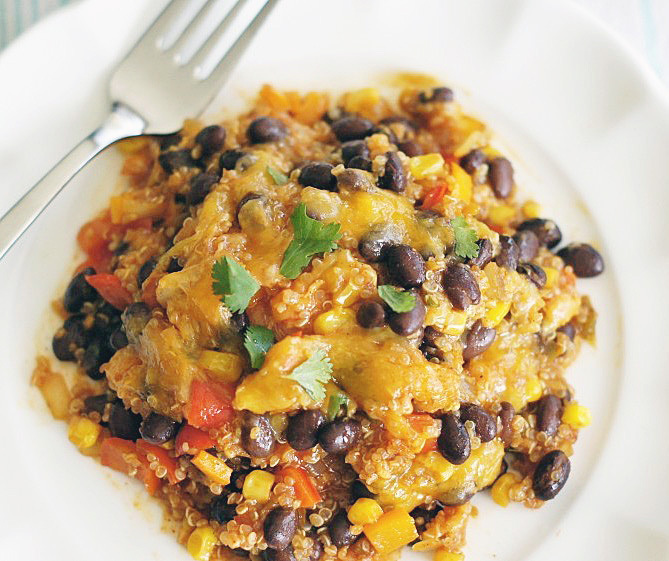 This Black Bean and Quinoa Enchilada Bake is delicious, simple & healthy. Definitely a satisfying meal that everyone will love! I don’t know about you, but there are some nights when I just don’t want to make anything that has meat in it. Don’t get me wrong, I am a meat lover, but sometimes I just want something different. That’s where this yummy dish comes in. I pinned this a few months ago from Two Peas and Their Pod and finally got around to making it. Let me just say that I could eat this weekly and never get tired of it. 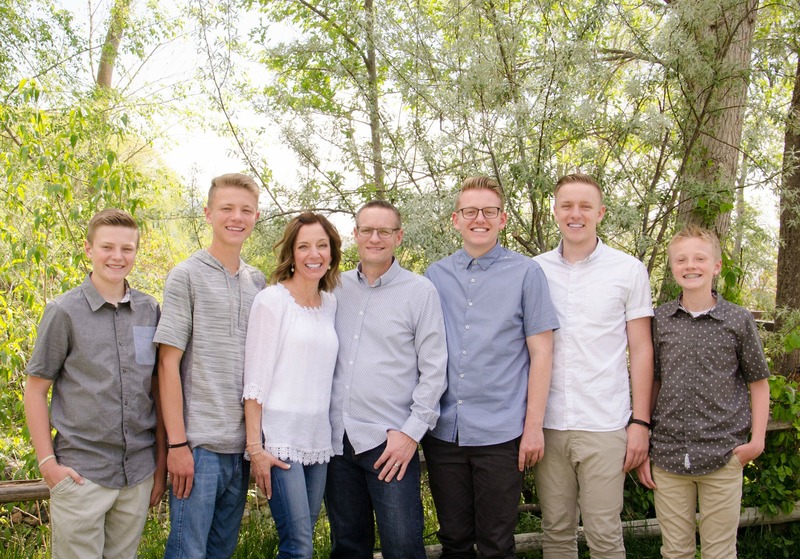 Even my boys (minus my picky, picky Braydon) loved it. It’s chock full of veggies (peppers, corn, cilantro and black beans) and flavored with cumin chili powder and enchilada sauce. Just talking about it makes me want to go make it. This stuff to me is total comfort food. I could have eaten the entire pan. So good and good for you. Oh yeah, it’s also really good if you dip tortilla chips into it. Delicious! This is such a simple dish to throw together and tastes amazing! Preheat the oven to 350 degrees F. Grease a 9x13 baking dish. Add quinoa and water to a medium saucepan and bring to a boil over medium heat. Boil for 5 minutes. Reduce the heat to low and simmer for about 15 minutes, or until water is absorbed. Remove from heat and fluff with a fork. Cover with a lid and set aside. In a large skillet, heat the tablespoon of olive oil over medium-high heat. Add the onion, garlic, and jalapeño. Sauté about 5 minutes or until softened. Add the peppers and corn. Cook for about 3-4 minutes. Add the lime juice, cumin, chili powder, and cilantro. Stir to combine. Season with salt and pepper, to taste. In a large bowl, add the cooked quinoa and black beans. Add the sautéed vegetable mixture and stir to combine. Pour in the enchilada sauce and stir. Add 1/2 cup shredded cheese. 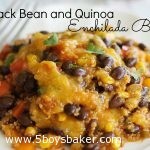 Pour the black bean and quinoa mixture into the prepared baking dish. Top with remaining shredded cheese. Cover the pan with foil. Bake for 20 minutes, then remove foil. Bake an additional 10 minutes, or until the cheese is melted and edges are bubbling. Remove from the oven, and let cool for 10 minutes. Garnish with toppings, if desired. Serve warm.